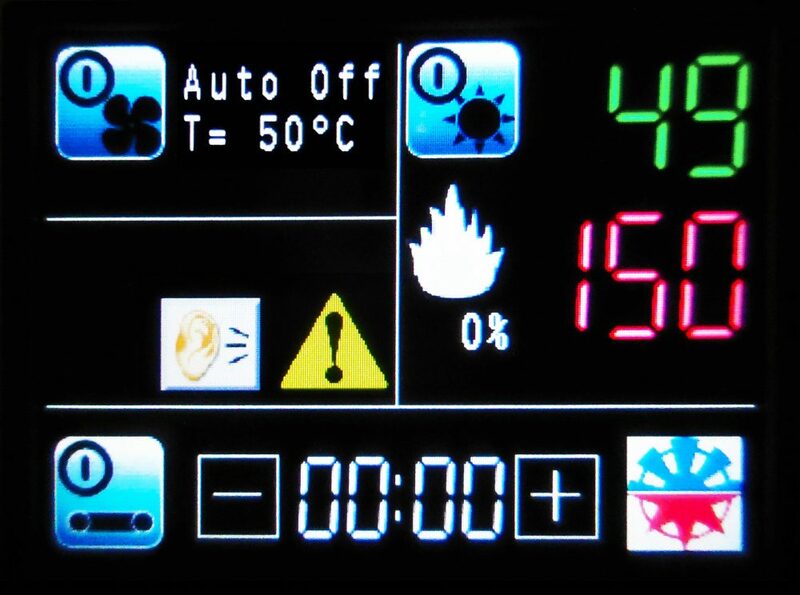 • **NEW PLC** The latest Lcd control panel has an easy and interactive interface design: time and temperature control are both processed digitally for precise and fast adjustments; the automatic cooling off and shutdown can be set to suit different working necessities; dryer internal technical parameters are also displayed. 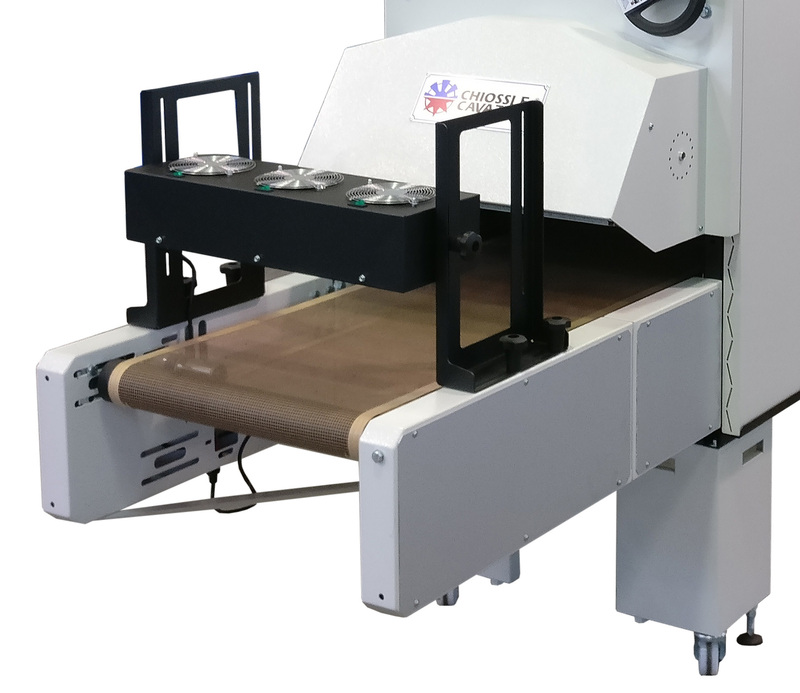 ACE 950 PRODUCTION DATA: Water-based Digital Ink – A4 print size on T-shirt – Data may change according to fabric material, drying area size and ink curing requirements. The Dryer ACE 950 is the perfect match with a KORNIT STORM 1000 or HEXA, which has an output up to 170 light and 85 dark garments per hour. 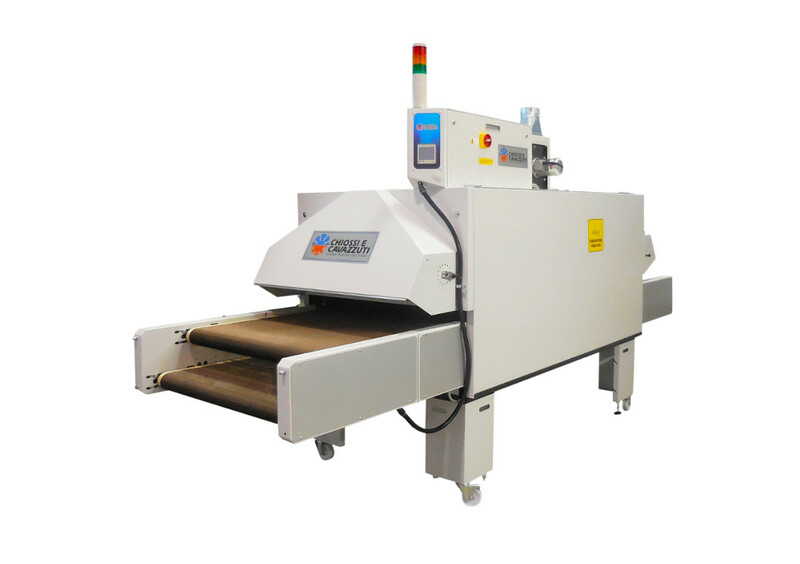 • Specifically designed to cure and dry digital printing on fabrics, the massive advantage of these dryers is the high volume of forced air circulation: this facilitates and accelerates the evaporation of water-based digital inks with unmatched results on the finished garment in medium-long drying process. 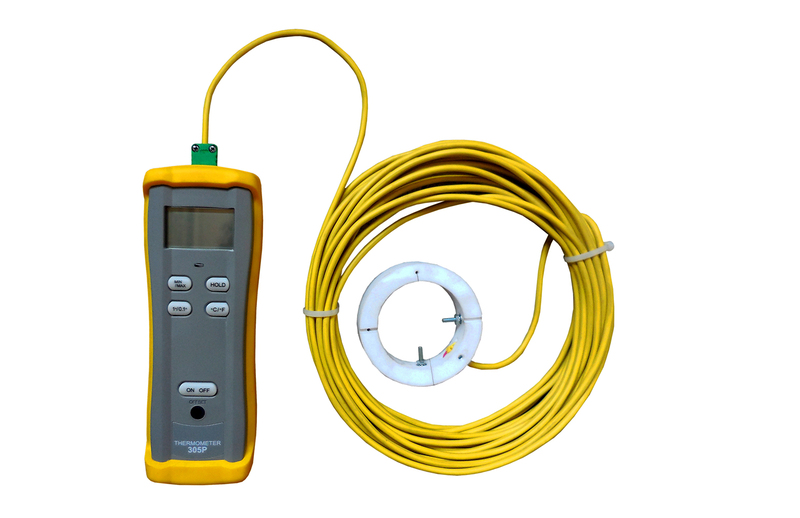 • In the heat chamber the temperature is uniform and constant on both sides and the center, adjusted by a precise thermostat and by a long lasting static relay control system; in this manner the temperature never exceeds the set value, preventing damage even to the most delicate fabrics. The air exchange is adjusted to discharge steam and promote high volume air circulation. This enanched airflow convection system is designed on purpose and employs high yeld low noise reverse blades. 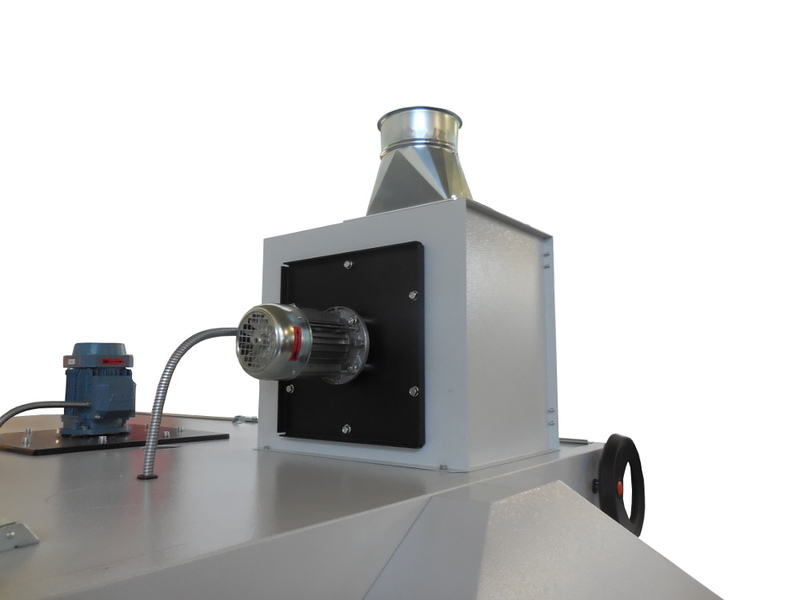 Outflow nozzles direct the air onto the product perpendicularly and at high speed. Filters on each blower fan achieve an efficient and low maintenance working process. • Heavily insulated mineral-wool fiber structure results in a cooler workplace and cool to the touch external skin. 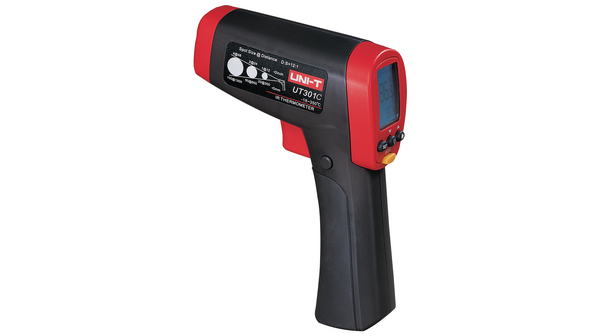 Remarkably it reduces both power consumption and heat dissipation. 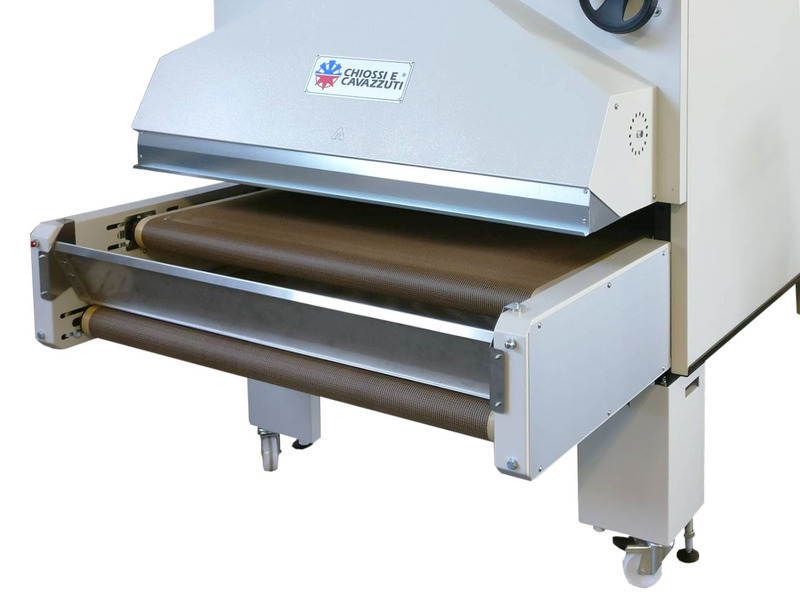 • The returning belt conveyor allows the operator to work without having to change his position; the belt conveyor below works at lower temperatures of about 10-15°C: this improves curing quality and at the same time allows the operator to touch the printed garment without burning risk. 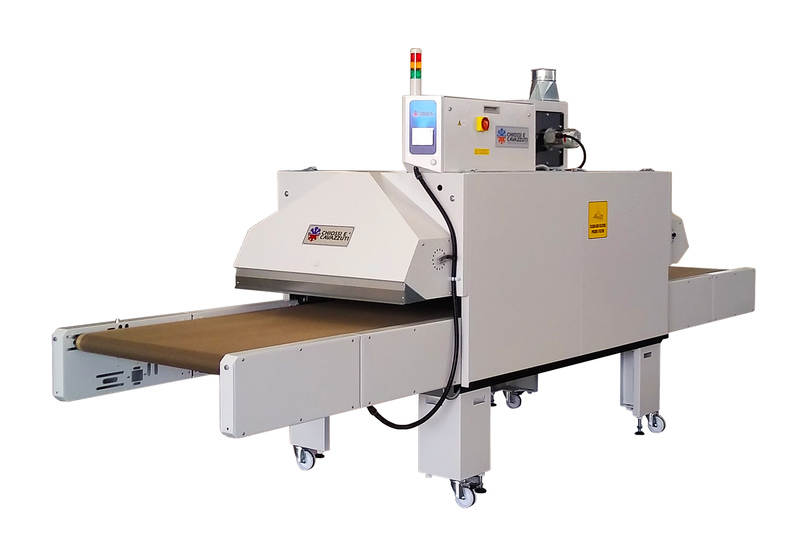 • The double belt conveyor configuration allows to operate simultaneously with two independent curing time. 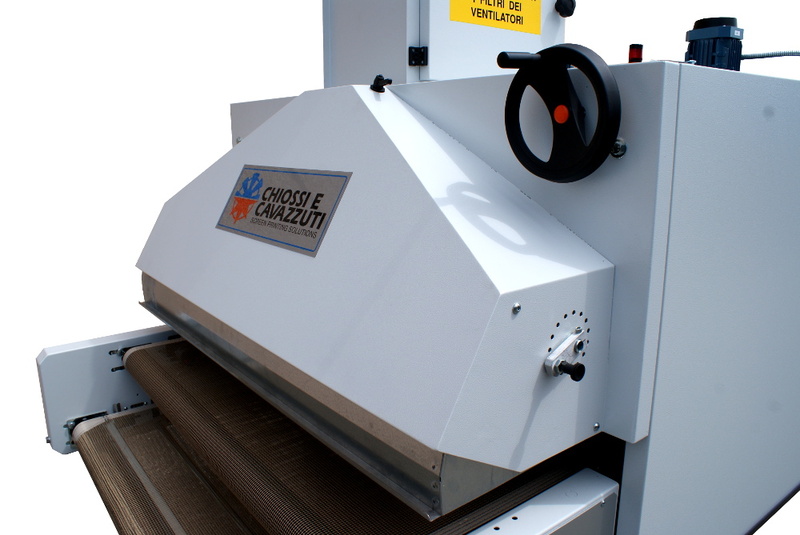 Each belt has its own speed control to be adjusted in relation to the ink or garment need. 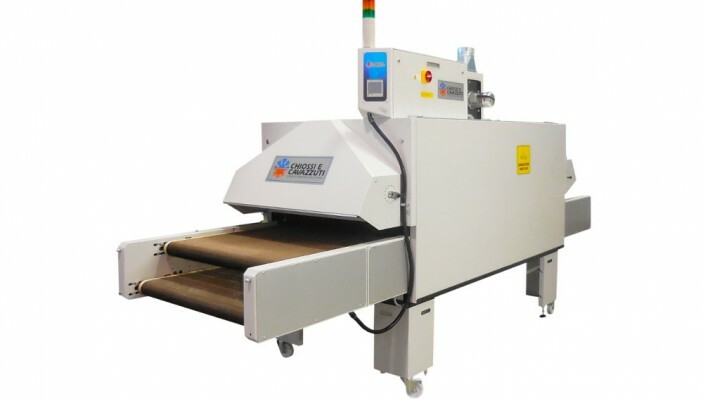 • The Optional Cooling Hood at the outfeed of the Dryer is an effective cooling system to protect both the operator and delicate products from high temperatures, after the drying process has ended.